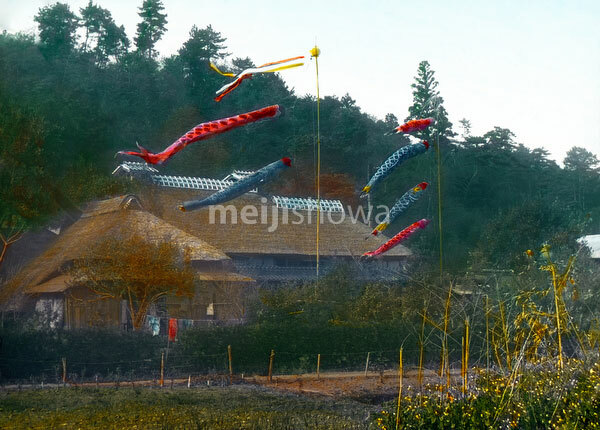 Koinobori (carp banners) float in the wind in front of a traditional Japanse farm house during Tango no Sekku festival. Until recently known as Boys’ Day or Flag Festival, it is held on May 5. Early 20th century.